Stay in Room 5 and enjoy its breathtaking sea view. 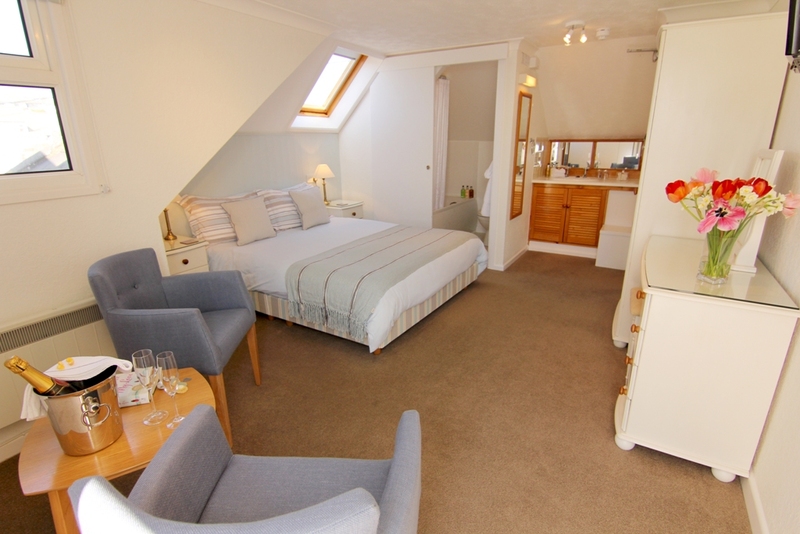 The room, a first floor double, is our largest and has a comfy 5 foot king size bed. There is a compact en-suite with a bath and an electric shower over. The wash basin and vanity unit is in the room. Room 5 is light and airy with a coastal style decor. It is spacious and benefits from a seating area that is great for relaxing or unwinding after a long day exploring. Due to its loft location, the room has slightly limited head-room on one side of the bed and in the en-suite.